Directions For adults, take one (1) softgel daily, preferably with a meal.s. 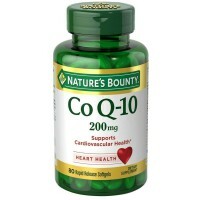 Uses Q-Sorb Coenzyme Q-10 supports heart health and energy production. * As an antioxidant it helps fight cell-damaging free radicals in the body. 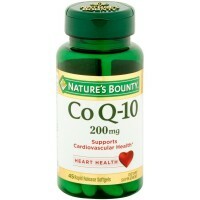 * In addition statin drugs can reduce Co Q-10 levels in the body. 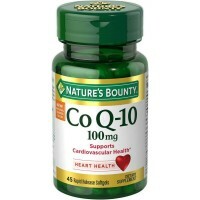 Co Q-10 can replenish what statin drugs can deplete. 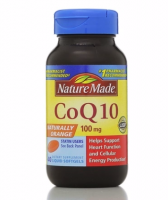 Note: Coenzyme Q-10 is not intended to serve as a replacement for statin therapy, nor should you discontinue taking any prescribed medications while supplementing with Co Q-10. No artificial flavor or sweetener. No preservatives, sugar, starch, milk, lactose, gluten, wheat, yeast, fish. Sodium free. *These statements have not been evaluated by the Food and Drug Administration. This product is not intended to diagnose, treat, cure or prevent any disease. Warnings If you are pregnant, nursing or taking any medications, consult your doctor before use. Discontinue use and consult your doctor if any adverse reactions occur. Keep out of reach of children. Store in a cool dry place.